Let us take a moment to say ‘welcome,’ and paint a picture of what can be done when we join together to help local families build their own homes and futures. For nearly 30 years, it’s been our privilege and honor to see people join together to build and renovate homes that offer hard-working families the opportunity to live life from a position of strength, stability, and self-reliance. We have witnessed the power of decent shelter and how it removes barriers that block opportunity, helps families thrive, and keeps children healthy. We have seen that an affordable home changes the future of a family for generations. At Habitat for Humanity East Central Ohio, we are driven by the vision that every one of us deserves a decent and affordable place to call home. We thank God for the opportunity to bring people together to build homes, strengthen communities, and breathe hope into circumstances that previously felt hopeless. If you are excited about that mission, we would love to talk about ways we can work together. Whether you’re visiting to learn more about how you and your organization can volunteer with Habitat, how you can give a financial gift that offers families and individuals a strong foundation, or how you can build your own decent and affordable home, we are certainly glad you’re here. If we can help by answering any questions or offering any additional information, we’re just a message or a phone call away. 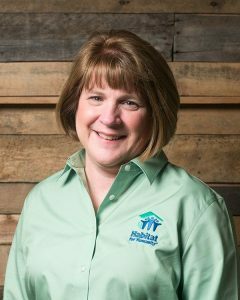 At Habitat for Humanity East Central Ohio, we are driven by the vision that every one of us deserves a decent and affordable place to call home. We thank God for the opportunity to bring people together to build homes, strengthen communities, and breathe hope into circumstances that previously felt hopeless. If you are excited about that mission, we would love to talk about ways we can work together. Whether you’re visiting to learn more about how you and your organization can volunteer with Habitat, how you can give a financial gift that offers families and individuals a strong foundation, or how you can build your own decent and affordable home, we are certainly glad you’re here. If we can help by answering any questions or offering any additional information, we’re just a message or a phone call away.